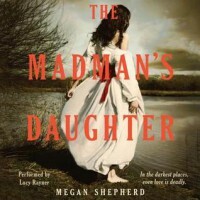 The Madman’s Daughter by Megan Shepherd is the first book in the Madman’s Daughter series and is a classic retelling of H.G. Wells’ book The Island of Dr. Moreau and tells the story of Juliet Moreau, Dr. Moreau’s daughter. Although I have not read H.G. Wells’ book, I went to Wikipedia and checked out the plot before listening to the audiobook. Gripping and creepy, The Madman’s Daughter is a story about finding the truth in a web of lies. Juliet Moreau, the daughter of the disgraced Dr. Moreau, is working as a cleaning lady at Kings College in London, England. An orphan, she tries to make her way until she finds an old paper with directions for vivisection (operating on live animals without anesthesia) written by her father. She tracks it to an old pub and comes face to face with Montgomery, their old servant, now her father’s assistant. To escape charges of attempted murder, she convinces Montgomery to take her to the island where her father has been hiding for 10 years. It is on that island that she discovers the horror and madness her father has sunk into and she discovers the truth about herself. Although I haven’t read H.G. Wells’ book, I think this is a very good retelling of the story. I love how the author used the same characters of the story but added a twist to each of them. Montgomery becomes a childhood friend to Juliet and Edward, the castaway, becomes someone unexpected. The world building and character building was flawlessly done that I was sucked in by the first chapter. The whole book in itself is very well paced that there was no dull moment. Vivid descriptions where used to describe the horrors that Juliet saw which did not scare me at all and that IS a plus in my book. The book is a little bit disturbing. Disturbing and yet captivating at the same time. I always felt like I wanted to know more. To find out all the secrets of Dr. Moreau’s island. I also liked how the author wrote Juliet’s character. Juliet is written as a mature sixteen year old girl and yet, I still see her as a sixteen year old. 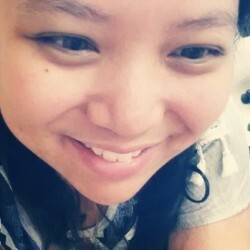 She acts and questions things like a teenager does and despite being analytical, she acts in ways that I expect a normal sixteen year old does. Kudos to Ms. Shepherd on this. When the plot twists are revealed, I loved that I could not see it coming. I love that it surprised me and despite being close to guessing the twist, I was glad that it wasn’t that predictable. An amazing book with an amazing ending. A bizarre combination of Science Fiction, love, and horror all rolled into one book. A definite must read for YA Historical fans. The Madman’s Daughter is narrated by Lucy Rayner and I give it a 5/5! It is very well read, with very distinct voices and accents. Her narration left me spellbound by the book. I could not stop listening to it at all. Her voice for Juliet wasn’t annoying at all despite using a girlish sounding voice for her. She is also narrating the next book in the series, Her Dark Curiosity and I like that she is. I like the continuity it gives the listener, unlike The Infernal Devices series where there were different narrators for each book.